Do you need help? Please call us at (417) 667-3539. Create the Memory. Create the Ring. When British archaeologist and Egyptologist Howard Carter entered the intact tomb of King Tutankhamun in 1922, he encountered thousands of luxury objects intended to accompany the boy king into the afterworld. 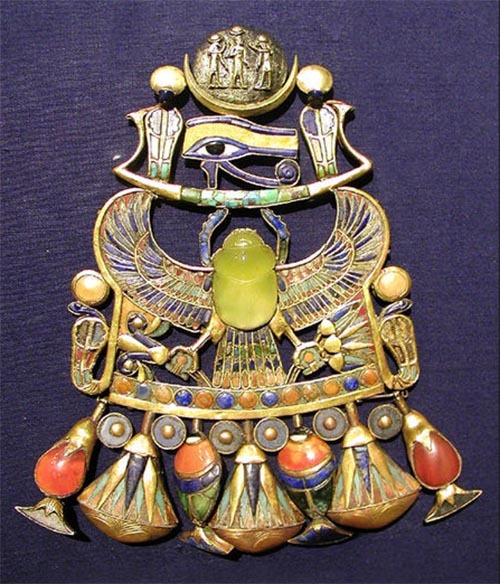 Among the items decorated with gold, silver and precious gemstones was a breastplate depicting the god Ra as a winged scarab carrying the sun and moon into the sky. The scarab was carved from a pale greenish-yellow stone that Carter originally identified as chalcedony, a translucent variety of quartz. A decade later, British geographer Patrick Clayton found samples of a similar glass-like material while exploring the Libyan Desert along the border of modern Egypt and Libya and classified it as Libyan Desert Glass (LDG). In a recent article published at Forbes.com, geologist David Bressan explains that LDG forms when quartz-rich desert sand is exposed to a heat burst of 3,600°F and then rapidly cools. Modern researchers noted that LDG has a different crystal structure than common quartz and contains traces of rare minerals and unusual elements, suggesting they could have been part of a vaporized meteorite. The LDG sample shown here weighs 22 grams (0.78 ounces) and measures 55 mm (2.17 inches) wide. The lack of an impact crater near the areas where LDG has been found lends credence to the theory that a comet may have exploded before touching down in the desert — generating enough heat to melt the sands. Scientists have compared LDG to trinitite, which is created when sand is exposed to the thermal radiation of a nuclear explosion. 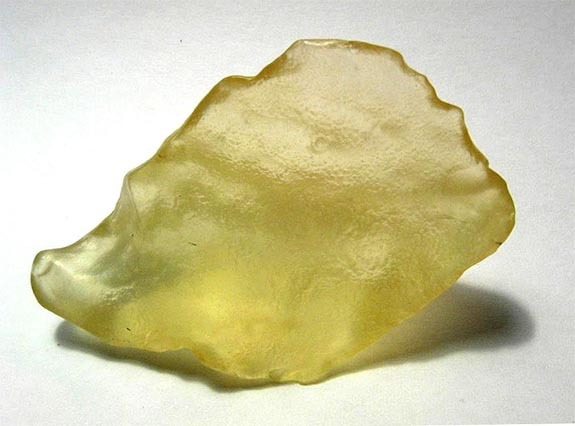 Because of the unusual factors needed to create Libyan Desert Glass, it is truly among the rarest minerals on Earth. LDG is found only in Libya’s desolate Great Sand Sea north of the Gilf Kebir Plateau. Whether King Tut’s handlers in 1323 BCE were aware of this rarity remains a mystery. Credit: Tutankhamun breastplate by Jon Bodsworth [Copyrighted free use], via Wikimedia Commons. LDG image by H. Raab (User:Vesta) [GFDL, CC-BY-SA-3.0 or CC BY-SA 2.0 at], from Wikimedia Commons. Rinehart Jewelry in Nevada, Missouri, began in 1952 with a dream of providing fine quality jewelry with an enjoyable shopping experience. Jim & Helen Rinehart bought the tiny jewelry department from Dr. Clay Walker's optometrist office. After several expansions and additions, Rinehart Jewelry was growing strong as both the business and the family grew! The still family owned jewelry store is still located in a pleasant downtown setting in our southwest Missouri town, but now, right on the main strip. For the latest and greatest, connect with us!